Superdry women’s Classics crew jumper. This oversized crew neck jumper is the perfect layering piece to wear pre and post workout. The Classics crew jumper features thermal properties and a stripe design down the sleeves with reflective detailing to improve your visibility in low light. 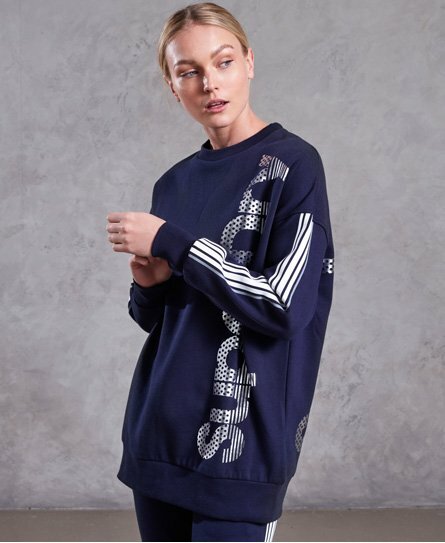 This comfy jumper is finished with a vertical metallic Superdry Sport logo down the front and back.